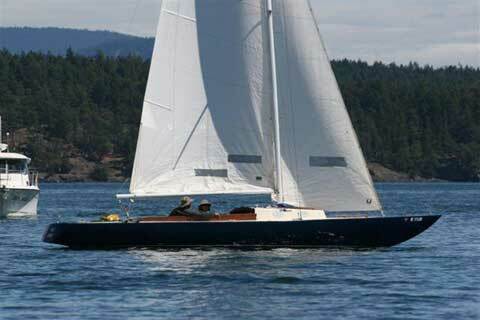 This boat started as an Etchells 22, one-design, racing sailboat and was converted to a day sailor in 2007. 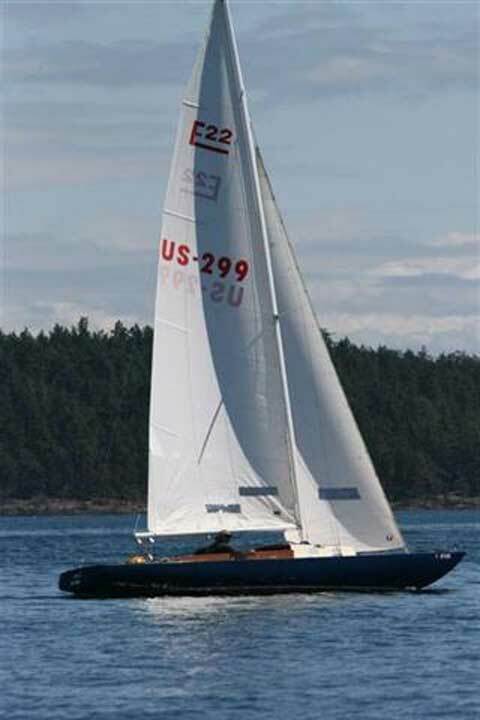 The boat retains the Etchells rig and flotation tanks and these specifications are on the Internet. We added the cuddy cabin, storage compartments, cockpit seats, and coaming while the mast, boom, sails, and underwater parts of the hull are unchanged. The cockpit is deep in the hull with comfortable seats and back rests. I find this a delightful aspect for sailing. Everything can be done from the deep cockpit. 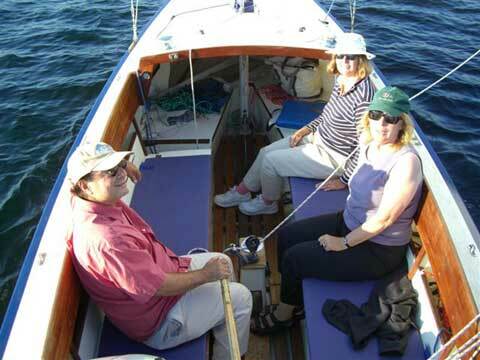 The running rigging was simplified for comfortable day sailing by one or two people. 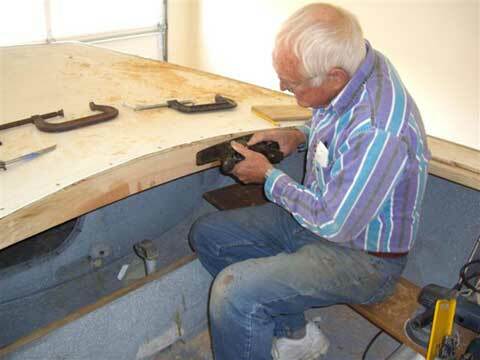 A set of reef points was added to the standard Etchells mainsail as well as slugs, and single line reefing. A pull-down halyard and bronze hanks were added to the standard Etchells jib so that the jib can be raised and lowered from the cockpit. Most of the fittings are Harken. All halyards, sheets and the adjustable backstay lead into the cockpit. The single-line reefing and Cunningham lead to the cockpit. There is an adjustable Harken mainsheet traveler and the mainsheet terminates in a pedestal in the center of the cockpit. There are two extra, standard mains, spinnakers, jibs, and a spinnaker pole. I don't use a spinnaker because the boat sails so well with main and jib. 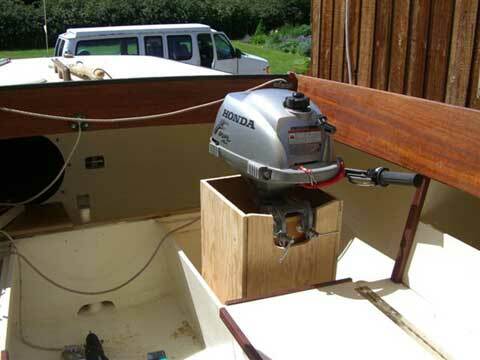 In flat water the 2 HP Honda motor drives the hull at about 5 knots burning about one quart an hour. The motor is in a well in the cockpit where it is easy to start and steer. 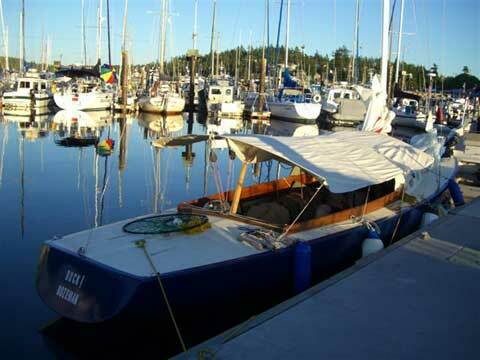 It weighs 28 pounds and is easily lifted when under sail. My wife and I just returned from daysailing and camp-cruising in the San Juan's and burned less than a gallon of gas during a two week vacation. The boat sails so well in light winds that you can usually make sasifactory progress without the noisy motor. The motor is mainly used to get in and out of marinas. With air mattresses and sleeping bags and a boom tent the seats become camp beds. We carry a Porta-Potty, water jug, and cooler stored in compartments. 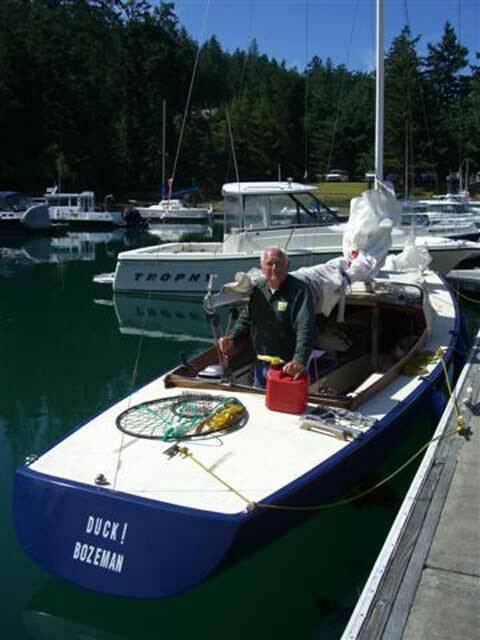 We have spent up to two weeks camp-cruising on this boat between Lake Washington and Ganges, BC. There is a Ritchie compass, Gusher bilge pump, Danforth anchor, boarding ladder, fenders and dock lines. There is a car battery, switch panel, running lights, depth sounder, a CD player with external speakers and auxilary input for MP3, and several 12vdc outlets for GPS, cell phones, etc. 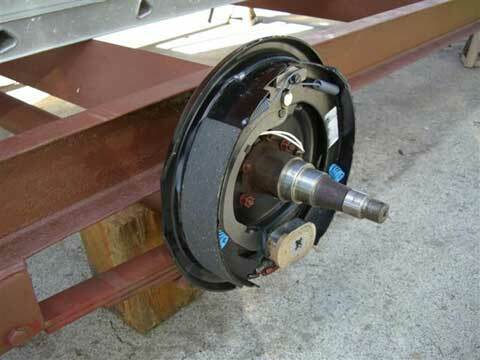 The trailer was rebuilt with new lights, paint, bearings, new backing plates, brakes, and new tires in 2007 and should go anywhere on the highway. We have hauled the boat over the Continental Divide between Montana and the San Juan's with a Ford van with a 4.6l engine. The boat and trailer are estimated to weigh about 5,000 pounds. 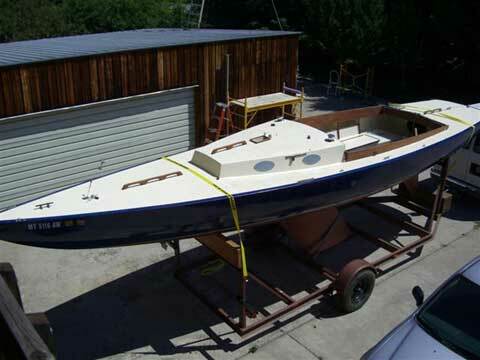 To launch, the boat is lifted off the trailer using two lifting eyes attached to the keel or with slings. 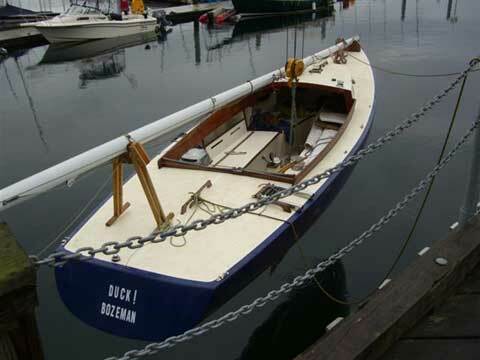 The mast weighs about 85 pounds and steps on the keel. It is nearly 40 feet long so a sky hook is needed to step the mast.